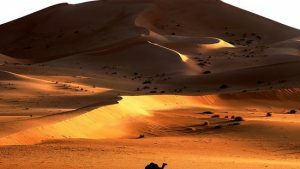 Being the largest island of North Africa, it’s no surprise to see that Djerba Island has become something of a tourist hot-spot over the years. It has become much more accessible and with the region boasting such a proud history, it’s an absolute must-visit for anyone who takes a holiday to Tunisia. Of course, at 514 square kilometres, it’s something of a small area. As such, it can be difficult to find a hotel and we have therefore comprised a list of our favourite five establishments on the island. 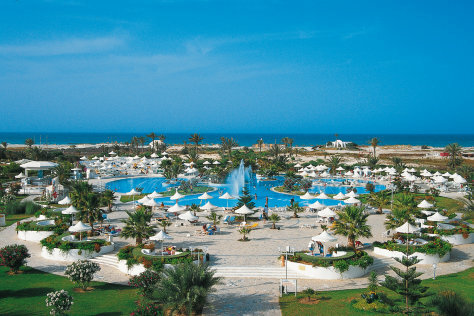 Search for Hotels in Djerba and check prices & availability, Click here. For those looking to extract the “wow” experience from Djerba Island, it doesn’t get much better than Hasdrubal Prestige Thalassa & Spa. The “Prestige” element of the name says it all and rather than being given a room, each guest is provided with a luxurious suite. While a lot of past guests will rightfully rave about the high standard of the suites, Hasdrubal offers so much more as well. 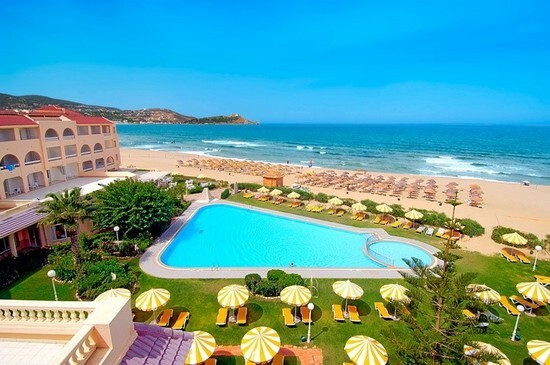 It is surrounded by numerous swimming pools; including a salt water, fresh water and sulphur pool – while there is a pristine beach on the doorstep. In terms of cuisine, the breakfast buffet is worth a mention on its own although guests will not be disappointed with the eating options at any time of the day. 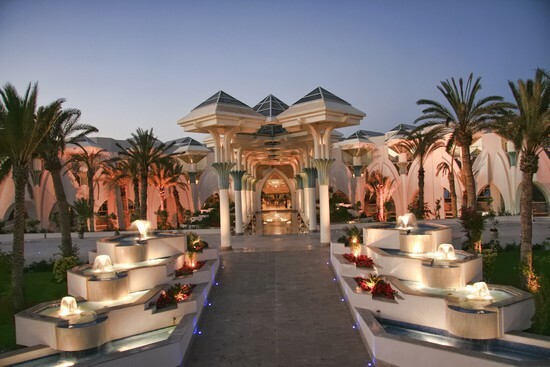 This is another one of the more luxurious offerings on Djerba Island, although it could be said that it is somewhat different to the previous entry on our list. The Plaza Hotel again benefits from a great swimming pool area and stunning gardens, but the unique selling point of this establishment is undoubtedly the animation team. They will cater to your every demand and whether you, or the kids, are bored during the day or night, they are there at your service. The hotel has been recently renovated and this is obvious through the state of the rooms. 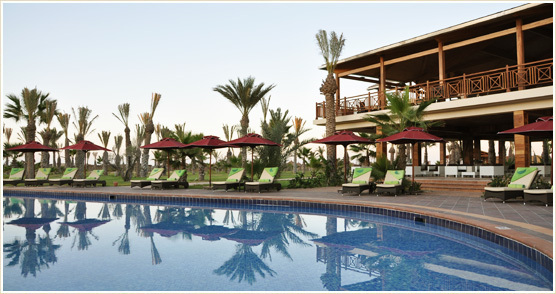 Additionally, for those guests who want a little more privacy during their stay, the beach attached to Djerba Plaza Hotel & Spa is private. Radisson has forged a worldwide reputation over the years on being a premium provide of hotel accommodation. 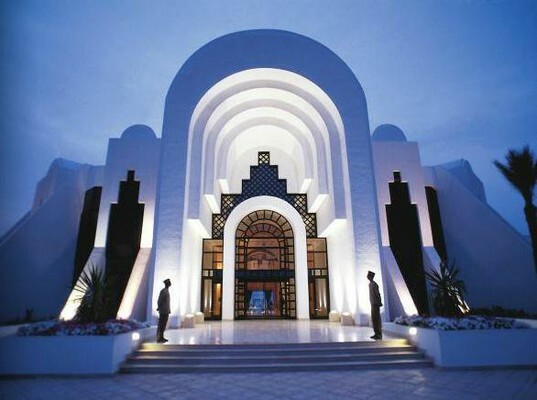 On Djerba Island the brand again doesn’t disappoint, with this resort being one of the most impressive around. The rooms can be classed as spacious and impeccably clean, while guests can benefit from a heated swimming pool outside which goes against the norm of most resorts. Again, a beach is situated adjacent to this establishment, making it ideal for anyone who is looking for a relaxing break. There is also a bar on the beach, meaning that refreshments are easy to come by during the day. Located not too far away from the first hotel that we covered on our list, it would be fair to say that the two are right up there competing in the luxury ranks. Guests will again be treated like royalty with a visit to Hasdrubal Thalassa & Spa, with the private beach, large swimming pool area and great views adding to the premium experience. A special mention should be given to the food that is served at this establishment as well, with each restaurant offering something unique but ultimately delicious. For those guests who want something a little quicker there is a buffet for starters and desserts, while table service is on offer for the mains. As the name may also indicate, this hotel is blessed with its own spa area that offers a whole magnitude of different treatments. Again, it’s all about providing guests with the ultimate pampered experience. The fifth and final addition to our list comes in the form of another Radisson hotel, this time the Blu Ulysse Resort & Thalasso. 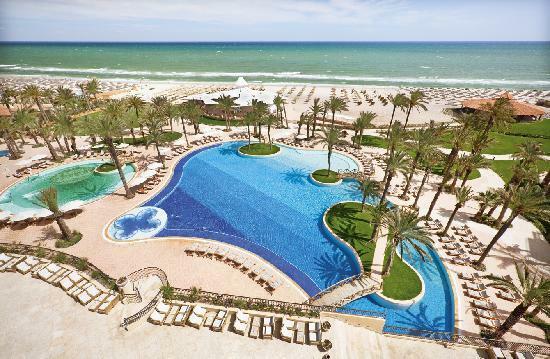 As strange as it may seem, the brand is seemingly competing against itself with both of the Radisson hotels boasting terrific features which make them highly desirable for anyone looking to extract the most from their Tunisian break. 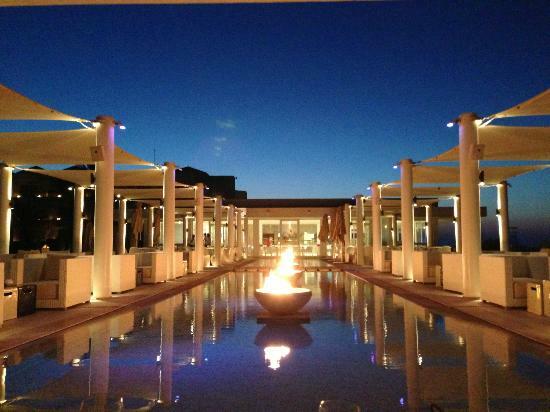 Unlike some hotels in the area, the Blu Ulysse Resort & Thalasso holds both outdoor and indoor swimming pools which turn it into an ideal resort all-year around. It should also go without saying at this point that there is a beach on the doorstep, meaning that it is again perfect for those guests that just wish to relax. If you fall into the group who wants to let their hair down, the evening entertainment at this establishment should have you covered as well. There are numerous bars available in the hotel, with the majority offering live music. Furthermore, the à la carte restaurant is worthy of a separate mention and offers a delicious menu that adds to this hotel’s impressive reputation.